At “Best of Gwinnett 2018” Mall of Georgia MINI, we pride ourselves on our inventory of new 2019 MINI cars. With a lineup of models like the Clubman, Countryman, Convertible, Hardtop 2 Door and Hardtop 4 Door there is no way we cannot be proud. Our new 2019 MINI Coopers make excellent features available to you so you can thoroughly enjoy your daily commute around the Buford and Atlanta area, along with your road trips. The features that will make your driving experience better and easier include all-wheel drive, Bluetooth audio, cruise control, dual zone climate control, push-button start, leather seats, a refrigerated compartment in the glove box, a navigation system, rearview camera, sunroof, turbocharged engine and more. Driving a MINI makes a bold statement, and MINI offers some bold and unique paint options like British Racing Green Metallic, Electric Blue Metallic, Ice Blue Metallic, MINI Yours Lapisluxury Blue among others to compliment that statement. Come in today to speak with one of our experienced sales team members about what you are looking for in your new MINI so they can help you find the perfect one for you. After you have taken a few MINIs for a test drive and picked the perfect one for you, one of our finance experts at the finance center will work with you to get the best possible loan or lease terms for your budget. 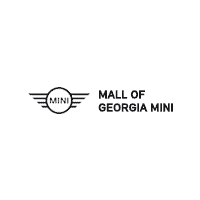 Don’t forget to bring your car back to our Mall of Georgia MINI service center to keep your MINI running smoothly on the roads of Buford, Atlanta, and surrounding areas. You’ll see why we were voted “Best of Gwinnett 2018”!